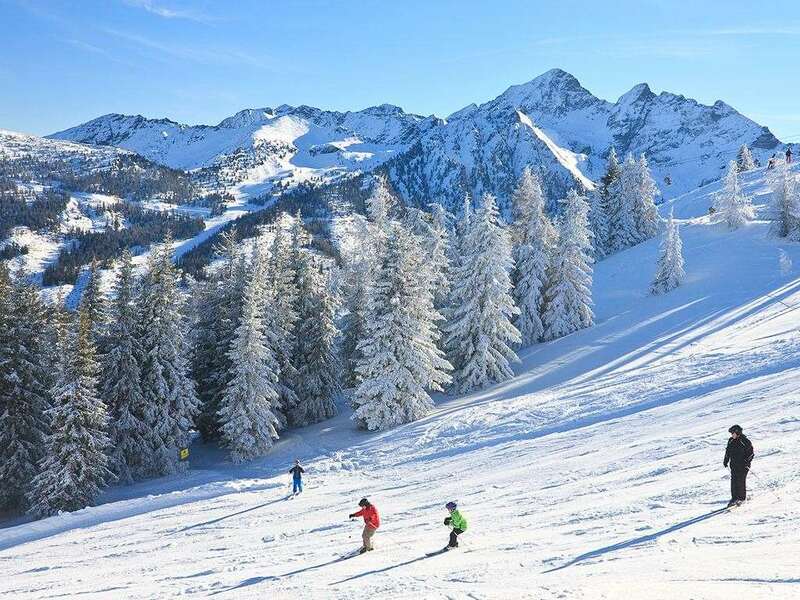 The Hotel Ferienalm enjoys a beautiful position on Schladming's sunny side and has a wonderful panoramic view of Schladming and the Planai ski area - its just 5 minutes' to the Planai gondola by ski bus. 21 bedrooms. 2 people on half board sharing a small room with Austrian twin beds. Standard rooms with balcony and single rooms are also available at a supplement as are quad rooms consisting of one room with Austrian twin and double sofa bed. All bedrooms have private shower, WC, cable TV, minibar and hairdryer (available from reception).